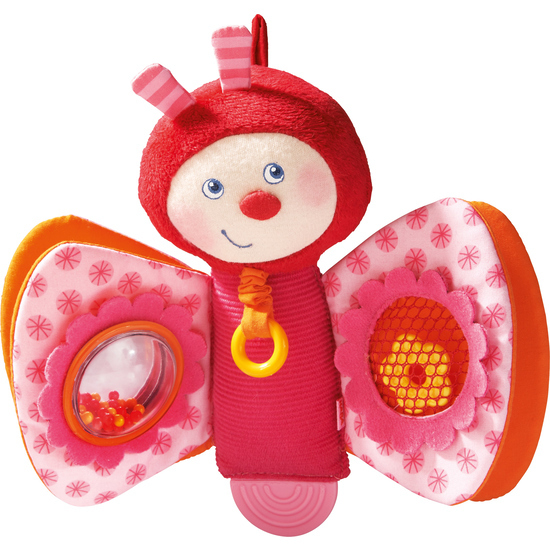 Babies are enchanted by this butterfly’s wings. The haptic net and rattle with colorful balls are highly interesting, as are the teething component at the tail end and the rattling ring. An irresistible invitation to exploration.